Dr. Gerald Smith - Root Canals Cause Cancer & Heart Disease! If you have cavities, root canals, gum disease, or have had your wisdom teeth extracted you need to listen to this show. Dr. Gerald Smith talks about the connection of your teeth and dental health to diseases like cancer, heart disease, arthritis, and more. I bet you never knew that your teeth can be causing your pain and diseases did you? The human body is a wonderful creation and there’s much more going on here than we think. Did you know dental issues cause 70 to 90% of all diseases? – Click to tweet this! Guest Info: Doctor Smith is certified by the World Organization for Natural Medicine to practice natural medicine globally. 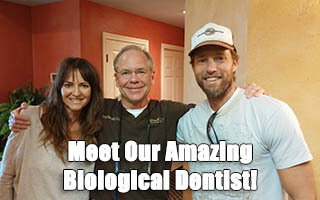 He is also a certified dental practitioner. His broad base of post-graduate training in dentistry and natural medicine enabled him to integrate many health care specialties. Sir, Doctor Smith is also a Knight Hospitaller . Lecturing at Walter Reed Army Medical Center, National Academy of General Dentistry and at the Academy of Head, Neck and Facial Pain, Yonsei Memorial Hospital in Seoul Korea. He’s given dozens of guest lecture appearances at national and international symposia. He’s a member of The International Associations for Orthodontists and Academy of Head, Neck and Facial Pain. The Holistic Dental Association, past-president and editor of their professional journal. Pennsylvania Craniomandibular Society, past-president. 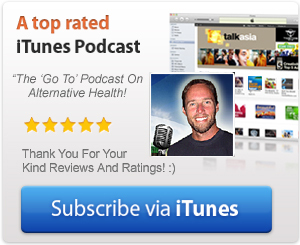 JUSTIN: Thank you all so much for joining us today on another edition of extremehealthradio. I hope you’re having an amazing day with whatever you’re doing and thank you for joining us. We have a great show planned for you today with Dr. Gerald Smith who is a biological dentist out of Pennsylvania, I believe. I just want to let you know that we’re broadcasting worldwide from Southern California. We do three shows per week and today is Friday, October 5, 2012. Time is flying by and this is episode #17 and you can find it at extremehealthradio.com/17. Just to let you know, all of our shows are transcribed and there are show notes. So, if you’re ever going to do a search on our website, please take advantage of that. Anything a guest says, or I say, during an interview, is searchable on our website. So, please take advantage of that. If you have any questions for our guests, you can email them to justin@extremehealthradio.com or you can call our voicemail line, 949-391-7363 and I’ll play your message for our guest on the air. This show is brought to you by the Vitamix blender, and you can find that at extremehealthradio.com/vitamix. If you buy it through us, we will get a little commission, which will help to further our efforts and we would greatly appreciate that. Before we introduce our guest, I want to talk a little bit about our show schedule. As I said, we do three shows a week and we have some exciting guests coming up, Dr. Bob Marshall out of Austin, Texas. He has a cure for just about everything and is an incredible doctor and I highly recommend that you check out that show. We have Dr. Charles Partito, creater of the ejuva cleanse, talking about colon health, how to keep a healthy bowel and detoxification. We have Nina Silver, who is a prolific author and has written extensively on energy medicine, so I strongly suggest you take a listen to that show. Let me now introduce our guest today. I’m very, very excited to have Dr. Gerald Smith. He is certified by the World Organization for Natural Medicine, to practice natural medicine globally. He is also a certified dental practitioner. His broad base of post-graduate training in dentistry and natural medicine, enabled him to integrate many health care specialities to his patients. He is also a Knight Hospitaller, so we will have to ask him about that. He has lectured at the Walter Reed Army Medical Center and National Academy of General Dentistry and at the Academy of Head, Neck and Facial Pain. He has given dozens of guest lecture appearances on national and international symposia. He is a member of the International Association of Orthodontists. He is quite a prolific author as well and has written a book called ‘Headaches Aren’t Forever’, newly published on CD Rom, ‘Alternative Treatments Conquering Chronic Pain’, and one that I’m interested in is, ‘Reversing Cancer, A Survivors Guide for Understand the Nature of Cancer’. He is head of the International Center for Nutritional Research and he runs icnr.com. Wow, thank you so much doctor for taking time out of your day to talk to us today. We really, really appreciate that. JUSTIN: Excellent. You are based out of Pennsylvania? GERALD SMITH: Correct, outside of Philadelphia, Pennsylvania, near Trenton, New Jersey. JUSTIN: Did you start out as a conventional dentist, or did you start out more on the natural side? GERALD SMITH: Conventional. Basically, I did my regular training in Temple Dental school, graduated in 1969 and then spent two years in the service. What was interesting was that my turning point was getting involved in a study group that had chiropractors, medical doctors, physical therapists, dentists, oral surgeons and orthodontists, and that’s how I was kind of exposed to a whole new horizon of information. JUSTIN: When you see that there is a cure for things that conventional dentists aren’t seeing, it kinds of opens up the world to you, doesn’t it? GERALD SMITH: Well, it opens up the world, but it’s also scary that I’m this little speck of sand on the beach, and I flipped the rocks and found many direct combinations or connections to major diseases, and yet the establishment is still blind to these things. JUSTIN: That’s interesting. So, you’re still practicing dentistry, is that correct? JUSTIN: Okay, so you still see patients and you see patients for many other issues, rather than just problems with their teeth. GERALD SMITH: Correct, well I have a Doctor of Natural Medicine degree, so that gives me a licence to expand my therapy to a whole new higher area of treatment, because with a dental licence, you’re restricted. JUSTIN: Right, so you’re treating people with things like, people come to you for all kinds of different things, like cancer and everything under the sun. GERALD SMITH: Correct, we have some pretty interesting cases. Just to give you an example, we had a patient with stage-4 throat cancer and when he told his oncologist that he was going to go for alternative, the oncologist said ‘it’s a farce’. Anyway, when I examined the patient he had three infected teeth, two of them were root canals and one was a regular tooth, but the roots were infected. Yet overtly, there was no pain, swelling or other symptomatology. When I tested him using quantam techniques, which is spatial energy medicine, the same pathogens or viruses or bugs that were in the teeth were in the throat cancer area. I extracted the teeth, put ozone in the jaw bone, homeopathics and ionic silver and placed the patient on a raw food diet, raw juices, rife technology and he was seeing a medical doctor for insulin potentiation therapy, and Justin, in three weeks the cancer was totally gone. JUSTIN: This was stage-4 throat cancer. JUSTIN: That’s unbelievable. So, when you talk to, I’m sure you’re chummy with other conventional doctors. when you talk to these type of people and they ask you about some of the things you’re working on and some of the results you’re getting, what do they say when you tell them about these things? GERALD SMITH: It kind of blows their circuits. So, for the simple reason that they’re afraid to use the technology, because it’s basically like a witch hunt, that they don’t want alternative methods to be widely publicized. And, because of the fact that hospitals won’t let physicians use the technology. For example, my dad had congestive heart failure and I kept him alive for 13 years, and he was in an experimental group. The pharmaceutical company that was making the drugs, when I called them I asked what was the life expectancy on your drugs, and they said two years. Well, four years later, my dad was the only one alive out of the experimental group. I said to his cardiologist, don’t you want to know what I had my dad on, and he said ‘no’. GERALD SMITH: Yes, they don’t want to know. Because they can’t use vitamins in the hospital, they will throw them off the step. JUSTIN: What’s the point even exploring that, it’s not even within the standard of care. GERALD SMITH: Standard of care, right. That’s how they nail you. They’ll say that your practicing below the standard of care. In actuality is that you’re above the standard of care. JUSTIN: That standard of care is almost frightening in terms of how people have to stick to that, isn’t it? GERALD SMITH: Well, it protects the lowest man on the totem pole. Putting it bluntly, the dumbest person on the totem pole. JUSTIN: If someone had an acute disease, like something wrong with their heart or maybe some kind of cancer, would the first place that you look when they come in, would that be the jaw or would it be something else? GERALD SMITH: Well, the whole mouth complex. 70-90% of all medical problems have their origin in their mouth. JUSTIN: Oh my gosh. I would imagine that barely anybody knows that. GERALD SMITH: Well, there is a hand full of people. But I teach a residency program up in Toronto to educate professionals on this dental whole body connection, because once you see it, it’s like anything else, the closer you get to the truth, the more simplistic the solution is. JUSTIN: We had Dr. Bruce Shelton on, from Arizona, a few days ago and he was saying that there is only about I think a little over 100 truly biological dentists in the United States. Is it really that small? GERALD SMITH: Correct, but like I said, most health care practitioners are insecure and fearful of the Dental Boards and Medical Boards. I mean, I just beat the dental board after a three year battle. They’re just brain dead. They have no clue what’s going on, and you know, if they want to make examples of health care practitioners to send a shot across the bow to keep the fear level off. JUSTIN: Yes, that makes sense. A lot of people have been talking about and are interested in, root canals. Can you tell our listeners why root canals are so darn taxing on the body and so dangerous? GERALD SMITH: Well, you have to understand that we are the only profession that embalms an organ and keeps it in the body. You are talking about a dead organ. When the nerve dies, you get breakdown products of protein, some of which are thioethers, which are related to mustard gas. Plus the fact, when you have a tooth that dies, there is a reason for it. It could have been trauma, but more than likely there was some infection within the tooth that got to the nerve that caused it to become necrotic or dead. Those bacteria live in little dental tubules. To give you an example Justin, a molar tooth has approximately three miles of dental tubals. They are 4 microns in diameter, which is miniscule and these bacteria live in there and they pump out their poisons. These poisons literally get into the lymphatic system and get carried away to the thyroid, the thymus, the heart and the rest of the body. JUSTIN: Is it true that each tooth corresponds to a different in the body. Is there any truth to that? GERALD SMITH: Yes, biologically the teeth develop from the same cells as the autonomic nervous system, so, to give you an example, your front teeth, the canines, develop from an neural tube when the fetus is growing, which gives rise to the same sympathetic nervous system. Your posterior teeth, your bicuspids back to your wisdom teeth, develop from neural crest cells which is your parasympathetic. In the 50’s, there was an East German physician who linked the different teeth to different organs. JUSTIN: That is so amazing. So, if someone out there is looking to get a root canal, what would you suggest they do? GERALD SMITH: Well, under certain circumstances, I would do a root canal. I mean, if there was no large infection and the pulp head recently died. We would use ozone in the canals, we would test all the material in the canals so that they’re bio compatible, and here you are caught between a rock and a hard place. If you lose posterior support, you lose stability to the craniosacral system. There are ways of kind of cleaning the area. I have two root canals in my own head, and I use the rife technology, once a week prophylactically, just to keep any infections or problems down to the bare minimum. JUSTIN: On the root canals, I have one now, and I’m looking to do something with it, in terms of fixing it, because I had mine done before I knew better, down in Mexico. God only knows the kind of equipment they were using down there. Some people say that you should pull the tooth. Is that something you think should be done? GERALD SMITH: I’m very conservative and I would strongly recommend having your tooth tested. There are any number of ways you could do it. For example, tomography was used. Tomography delineates temperature changes and if a hot spot shows up red in the area where the root canal is, then you know that there’s inflammation going on there. You can also use VOL technology or indigo system or other aventura technology. There are so many different electronic diagnostic systems that could be used. Then, using a muscle testing technique called direct resonance testing, where you have vials of specific frequencies of packaging, and you can literally delineate what packagings are present in the area of that root canal. JUSTIN: Okay. So, how does removing a tooth for a root canal effect the proprioception of the jaw and the structural balance? How does it start effecting, if you remove a tooth, the overall balance of your jaw, your shoulders, your hips and your knees and all that kind of stuff. GERALD SMITH: Well, #1 you have the proprioceptors, or take it out of the socket with the extractions, and #2 you are losing the physical contact to the opposing tooth and that effects cranial bone balance. JUSTIN: Once your jaw is out of balance, is it sort of like the flanky deal, where it starts effecting the whole rest of your body. Like the whole rest of your body has to compensate. Is that correct? GERALD SMITH: Correct, you basically have 28 bones that make up the human skull. They are joined together, kind of like in areas that I refer to as little zippers. They’re sutures. They’re expansion and contraction joints. When the forces become imbalanced, the sutures distort in their balance, which effects the dual membrane system within the cranium and the dual membrane system passes through the base of the skull and passes to the upper three cervical vertebrae and then it goes all the way down to your sacrum. So, there’s your slinky. JUSTIN: You know, I just shudder. I talk to people all the time and they tell me, oh you know, I have to get a root canal and they talk about it like it’s no big deal. Some people know that I know really well, knowing what I do and ask my opinion, but some people don’t know what I do and they just say these things. Do you just shudder when people tell you these kinds of things and they act as if it’s not really a big deal? GERALD SMITH: Absolutely, it’s mind-boggling how the establishment has sensitized the population to accept this information. Back in the 1930’s, Weston Price who had impeccable credentials as a researcher for the American Dental Association, and they took infected teeth out of patients, put them under the skin of healthy rabbits and the rabbits came down with exactly the same disease that the patient had. JUSTIN: Wow, you know I’ve heard about that. I think there’s something I heard recently about some sort of toxin that the bacteria produced called proprionic acid, and when a tooth is extracted from someone who had autism, there were parts of that tooth that were injected into a rat, I think, and they started exuding autistic behaviors. It’s amazing that that kind of research is going on and nobody knows about it. GERALD SMITH: Sure, because it smacks it right in the face of what the establishment is putting out is that vaccines are safe, chemicals are safe and fluoride is safe. The bottom line is that the average child today being born has an average of 287 chemicals in his blood at birth. This was well documented by the Environmental Working Group. They spent $50,000 on each of ten children, and they tested their blood, like taking it out of the placenta at birth. It’s mind-boggling to think that you have this human fetus developing in such poor chemicals for nine months, they get out and then they want to inject them with the hepatitis-B in the hospital when they are like an hour old. JUSTIN: When you start realizing all of this stuff, it just makes so much sense doesn’t it, why people are getting sick, why there’s autism, why there’s cancer. A friend of mine, who I went to high school with, who as stage-3 colon cancer. You don’t really know what’s going on. It seems as if these types of things are coming up out of the blue, but when you start understanding, like you were just saying, how we can’t even live the first few days without being exposed to hundreds of toxins. stage-3 ovarian cancer. I saw the intimidation techniques that the establishment uses to coerce people into chemo and radiation and all the invasive techniques. I swear, I spent three days in the hospital after my wife had surgery. I was so disoriented from not being able to sleep with code-4 messages in the middle of the night. I could have been selling flowers at the airport. But the key here is that you have a multitude of factors that are placed upon the individual on a daily basis. You have the radiation coming over from Fukushima. That’s over a year ago, but every day we’re getting inundated with radiation. And they’re not talking about it on the 11 o’clock news, because they don’t want the people to be fearful. But there’s nothing they can do about it, but the establishment doesn’t realize that with the simple intake of iodine and a special nanozeolite product you can negate the radiation effects. JUSTIN: That’s amazing. We have to take a quick break, but when we come back I want to ask you a lot more about the dental connection to diseases and cancer and things like that. We’ll be right back with Dr. Gerald Smith, who is the head of icnr.com. He’s also the creator of, I believe it’s dentalwholebodyconnection.com. We have all of these links on our show page here, and we’ll be right back with Dr. Gerald Smith. I hope you’re enjoying the show so far. I want to talk a little bit about tooth decay. I’m not sure if you know this, but lots of biological dentists around the world, on the cutting edge of research, have made the connection between tooth decay, cavitations and root canals to things like heart disease and cancer. I’m not sure if your dentist has told you that, but the health of your mouth is critically important to your overall health. There is a great book that teaches you how to reverse tooth decay, cavities, eliminate tooth pain and root canals, stop cavities and form new tooth enamel, something that your dentist has never heard about. It’s called ‘Cure Tooth Decay’. You can check it out at extremehealthradio.com/decay. If your dentist is currently trying to persuade you to get a root canal or get your wisdom teeth taken out, or anything like that, I strongly and highly suggest that you read this book. It’s about $25 and it can change your life, because the health of your mouth and the health of your teeth is going to directly correlate to your overall health and longevity. So, the health of your teeth is a critical component to how you live and whether or not you get disease. So, check out this book, it’s called ‘Cure Tooth Decay’, at extremehealthradio.com/decay. If you’re interested in more products just like this, visit our store and you can check out all of the amazing products we have on there for you. Okay, now let’s get back to this interview. JUSTIN: Okay, we’re with Dr. Gerald Smith, the founder of ICNR in Pennsylvania. Dr. Smith, I wanted to ask you too about staying along the lines of tooth connection, we’re trying to educate people in terms of the connection between our teeth health and disease and overall health. With the root canals and the removal of wisdom teeth, are these things that, let’s start with the removal of wisdom teeth. Theoretically, this shouldn’t even be happening, as we should have enough space in our jaw for our wisdom teeth, right? GERALD SMITH: Well, one of the problems that arises is that if you go back to Weston Price’s and Francis Pottenger’s research from back in the 1930’s, they discovered within one generation of eating processed foods, like white bread, white sugar and that type of thing, pasteurized milk and so forth, that the next generation, their jaw bones became smaller because they didn’t have the mineral content to enhance their development. So, the key is that you’re getting these problems that are cropping up, and it’s a billion dollar industry, called the shaking wisdom teeth. So you know, you have a golden goose here. If you look at the literature, a high percentage of these teeth if left alone, will erupt. Either they start extracting or as I like to call it amputating them at age 16 or 17, when the jaw bone is still developing. So, the key here is that when they extract the tooth, they’re not getting primary closure to the socket and the bacteria are migrating from the mouth into the jaw bone and living there for the rest of your life. In fact, my mentor and teacher Dietrich Klinghardt who is a M.D. and ph.D basically estimates that 90% of all wisdom tooth extraction sites are infected. JUSTIN: 90%. That would make sense. You just can’t, using conventional methods, get rid of bacteria. Bacteria is everywhere. GERALD SMITH: The key is, when I do an extraction, I don’t do 3rd molars, but if I do a regular tooth, basically you meticulously have to scrape out the socket, and then re-ozonate it using a medical machine that produces ozone, and that kills all kinds of pathogens. And then, irrigating it with ionic silver, and then homeopathics and then putting in an absorbable sponge called Gelsume and then suturing it up. Post-operatively, patients have minimal to no pain after the surgery. The pain was coming from the bacteria that would migrate into the canal and the toxins they produce stimulates the pain receptors. The nerve endings. So, the key is you can reduce dramatically the infection of that area. JUSTIN: That is possible, but not with conventional doctors. GERALD SMITH: Correct. I can give you two quick examples. We had a patient in from Seoul, Korea who had 10 years of congestive heart failure, and she went to all the top cardiologists and nobody could get to the core of an analogy of what was going on. When she flew into Texas, she had a strep infection, and her wisdom teeth were taken out ten years ago. Once we got rid of the strep infection, with nutrients and frequencies, the congestive heart failure completely disappeared. Another quick example was that a patient with emphysema and was on steroids for a year, and I tracked it down to a strep infection in the jaw bone where a bicuspid tooth was taken out 15 years ago. We cleaned out the jaw bone infection and the emphysema totally disappeared. JUSTIN: Wow, that is just so crazy that that could be the case. It shows you that the body is truly and amazing organ, it’s just not a machine, calories in and calories out, it’s really interlocked and interlinked everywhere. Before I knew any of this information, I had four wisdom teeth taken out, I think around 2000, and I had a root canal. I would imagine that many people are in my boat. They might have had a root canal, or maybe two or more, and have other tooth issues, like extractions. Now, with the four wisdom teeth that were taken out, it’s pretty safe to say, I should say, that there are four cavitations there, right? GERALD SMITH: A very good chance. JUSTIN: And, a cavitation is what? GERALD SMITH: Basically an infection in the jaw bone. JUSTIN: Okay, it produces no symptoms or anything, right? GERALD SMITH: Correct, there is no swelling and no pain. There is pus. That’s the problem, it’s incidious, a time bomb that sitting there. My belief system is that everything is fine, it’s like the guy who jumps off the Empire State Building, 12 stories down and he said ‘so far, so good’. The key here is that under normal circumstances when you’re relatively young and healthy, your body can handle that. But it takes one incident, a car accident, emotional trauma, a flu episode, or a vaccination or whatever, that hits the scale. JUSTIN: So it sounds as if your immune system is sort of like a teeter totter and when something happens that traumatic to you, these things, like a cavitation or a wisdom tooth extraction, cavitations and root canals, these things just sort of sit on top of your immune system, like a sumo wrestler and it weighs down and bogs down your immune system. When you’re 20 years old, you have a strong immune system and don’t feel it, but later on in life when other things start happening, the immune system just can’t work. Is that kind of how you’re looking at this? JUSTIN: Interesting, wow. I know there are websites and places for people to find biological dentists and I know people are going to be listening and they’re going to be thinking, ‘my doctor wants me to get a root canal, where do I find a biological dentist’. Do you have a resource for that on your website? GERALD SMITH: We do, and there are a few organizations that they could check out. One is The Holistic Dental Assocation and another group is the International Academy of Biological Dentists. There’s also IAOMT, Internationall Academy of Oral Medicine and Toxicology. You also have the DAMS Defense Against Mercury Syndrome. These are good groups that you’re going to get information from that will help you make a more informed consent. JUSTIN: If I were to get something like this done, theoretically would I feel anything, because I know that some people feel a radical shift in their body, sometimes for the better, after they go through sort of a healing crisis. If someone were to get two or three things done at one sitting, what would they feel afterwards? GERALD SMITH: I can give you a few examples. We had one woman who had pain down the left side of her body and it was exacerbated when she would play the piano. Her conventional dentist was treating an area on her lower left second molar that was abscessed and he was telling her that food was just trapping in under the bridge and you have a peridontal or gum problem. Well, when I reviewed the radiographs or x-rays, she had a full blown infection in the jaw bone. When I extracted the tooth and cleaned out the area with the ozone homeopathic ionic silver, the pain totally disappeared on the left side of her body. GERALD SMITH: A lot of patients have like energy changes. One patient had a lot of mercury fillings in his mouth and after the last restoration was taken out and replaced with biocompatible material, he couldn’t believe the difference in his energy level. He had been suffering since his teenage years and he is now in his 40s. JUSTIN: Biocompatible material are substances like zirconium and things like that, right? GERALD SMITH: Correct. There are also resin materials, but really every one is a chemical and energetic fingerprint and you have to test to see compatibility. So, this is an area that unfortunately is not being performed on a routine basis by many dentists. JUSTIN: Yes, many dentists are not doing blood samples and checking for biological compatibility, are they? JUSTIN: That makes sense. It’s too involved for the general practice, I would imagine. GERALD SMITH: Well, if you use cranial rhythm, which basically to me, is the best lie detector in the world, because you have an aura around every patient, and if you take a substance that has an energy pattern and you place it into that aura, if it’s compatible with that patient, the cranial rhythm remains balanced. It’s inexpensive, it’s accurate and it’s quick. JUSTIN: What is the cranial rhythm? GERALD SMITH: The human brain functions in an expansion/contraction mode, to help pump the cerebral spinal fluid around the brain and the tissues. So, even if you hold your breath, the brain will still open and close kind of like an umbrella. That is an energetic expansion/contraction function. When you take a substance and put into the aura, which is an extension of autonomic nervous system, the computer of the body picks up immediately whether it’s good for the individual or meant for the individual. And it refracts in the motion of the skull. JUSTIN: You can do a test to see the cranial rhythm? GERALD SMITH: You can feel it with your hands. JUSTIN: Interesting. This whole idea about the biofields, I know Dr. Marshall out of Austin, we’re going to have him on this weekend, he talks a lot about the biofield, and it sounds like you are into the same types of things. I want to ask you a bit about, you know getting into this type of subject matter, about the Rife machine. I think you sell those, if I’m correct. GERALD SMITH: Correct. The technology was developed in the 1930’s and it was based on Rife’s fabrication of a special microscope, the universal microscope that stained the pathogens with light, and that’s how he will determine the mortal oscillatory frequency of the different pathogens. JUSTIN: The mortal oscillatory frequency, okay. GERALD SMITH: Oscillatory, in other words every virus, bacteria, fungi vibrates every signature frequency. GERALD SMITH: And when you bombard it with a similar frequency, it explodes it and it doesn’t damage the surronding tissue. JUSTIN: So, that would be similar to like a singer and a wine glass, and shattering the wine glass? Is that kind of the same idea? JUSTIN: So, all of these viruses, is there a list somewhere where you could find out what viruses resonate at which frequencies. GERALD SMITH: Absolutely. If you go on the internet and do a search for Rife Frequencies, you will find sites that provide the exact frequencies for each pathogen. JUSTIN: I’m sure people who are listening have probably never heard of it. I’ve known about it for quite a few years, but it’s fascinating and it blows my mind, how things like this can work. My wife and I, a few years back, went to a doctor who had a Rife machine, I believe it was a Rife machine. It might have been like a biofeedback machine or something, but he had these to little circular areas in the device. He was talking about how he can actually change the results and heal people over long distances of areas. He was doing experiments with it and getting extraordinary results with people who weren’t even near him. GERALD SMITH: Yes, that’s called subspace. JUSTIN: Subspace? How does that work. GERALD SMITH: Basically, it locks onto your DNA code. It works, because we have a similar instrumentation. It’s awesome technology. It’s Star Wars. I mean, think about it. You have astronauts up in a capsule. You think that they are drawing blood up in space and giving them poly-pharmacy to cure them? JUSTIN: I would guess, no. GERALD SMITH: I don’t think so. Because one good barf up in the capsule is going to turn off his comrads. JUSTIN: Right. I’ve heard over the years that there are a lot of issues as far as the government is concerned. Is that true with the Rife technology? I’ve heard that you can’t even search for that without being logged by google, or whatever. either Stanford or UCLA, I think it was UCLA. They were monitoring the project. They had 16 terminally cancer patients, and in 130 days they cured every one of them of cancer with the frequencies. JUSTIN: That has to be suppressed, right? GERALD SMITH: Absolutely. That’s when it all hit the fans, because within the next year, 11 research centers around the country who were validating Rife’s technology, were burned down. Now, come on, that’s not an accident. JUSTIN: That is absolutely amazing. The average person out there has never heard of a Rife machine. GERALD SMITH: Well, the name’s been exponged and it’s not in the books. Physicians are never exposed to this. And when it is brought up, they make light of it and you know, shock people with childish behavior, trying to downplay the significance of this technology. JUSTIN: It makes sense. If you’re trying to hold on to your power, you want to make sure you suppress these types of things. In Rife machines, I’ve heard that you can actually homeopathically imprint water, put something into your water and you can drink that every day to cure diseases and things like that. Is that kind of how some people have Rife machines in their home. Is that how they use them? GERALD SMITH: Well, it depends on how sophisticated is the unit they have. Some units, like with our Indigo system, we can imprint water or imprint homeopathic and solve problems. I’ll give you an example. We had a patient in from Chicago who had had internal trembling for a year and it was coming from Levaquin, which is a very nasty antibiotic. So, I had him bring in a Levaquin tablet. I dissolved it and imprinted it and made a homeopathic remedy from the drug. In 24 hours, the internal trembling had totally gone. JUSTIN: That’s incredible. You do homeopathy, energy medicine and dentistry. GERALD SMITH: Whatever it takes. I’m one of these people, ‘a why person’. I’ve been flipping rocks for well over 35 years. I’ve been in practice for over 42 years. The key is that the answers are out there, Justin. As Edward do Bono, the great psychologist said, you have to dig lateral holes to interconnect the dots. You can’t keep digging the hole deeper and looking for the magic surgical procedure, the magic chiropractic adjustment, the magic drug or vitamin. It doesn’t exist. You have to define the underlying core issue and then address it with the appropriate therapy. JUSTIN: Yes, that makes so much more sense than typical conventional doctors and their aggressive treatments. When we come back, I want to ask you some more questions about the Rife machine, as well as gum disease and things like that. What things people can use to brush with and some of that self-care stuff, that is practical information. We’re with Dr. Gerald Smith from icnr.com and dentalwholebodyconnection.com and we’ll be right back in just one moment. Hey there, I hope you’re enjoying the show so far. I wanted to tell you about the best alternative cancer treatment book on the market today. It’s called Cancer-Step Outside the Box and you can check that out at extremehealthradio.com/cancer. It’s written by Ty Bolinger and we’ve had him on our show. He was the very first episode and he’s written a prolific book on cancer, talking about all of the natural cancer treatments that are out there that are on the cutting-edge. Some of them have a 93% success rate. He gives you, inside the book, which is about 400 pages, he walks you through all of the natural cancer treatments that are most effective. He’s got all kinds of cutting-edge research on why chemotherapy does not work, how to heal the body, how to cleanse the body, many different ways of cleansing, and he’s got entire protocols of all the most popular and powerful treatments to beat cancer, some of them even in the stage-3 area. I highly recommend this book. If you know someone who has had cancer or if you’ve been diagnosed, please get this book. It really has incredible information. You can check that out at extremehealthradio.com/cancer. If you’re interested in products like this, we have tons of them in our store. So, visit our store on our website and you can find a lot of other products like this. Thank you for listening to this interview. I wanted to ask you, Dr. Smith about the Rife technology. You mentioned the Indigo. Is that similar to the Gb4000 or is it a separate machine altogether? GERALD SMITH: Yes, it’s a separate machine. The Gb4000 is a regular stand alone Rife and it has 871 preprogrammed therapies in there, plus it has the expandability. You can make custom programs and if a new frequency is discovered you can always add that in, so it’s very versatile. The Indigo treats acupuncture points, meridians, chakras, which is Haemar’s work from Germany on the mental emotional state. It does hormone balance, the homotoxicology structurely, adjusts the spine electronically, a Rife on steroids. JUSTIN: I was just thinking that. So this is more something a practitioner would get. JUSTIN: The Gb4000 is something more personal, and you sell that. Is that right? JUSTIN: Okay. I wanted to ask you. What is the general price range of the Gb4000, if you’re able to say that? GERALD SMITH: It’s around $2400, which I think is reasonable, considering what it does. Basically, as the FDA takes good quality nutrients off the market, the only thing you’re going to be left with is vibrational medicines to treat your problems. JUSTIN: Now, if someone were to buy the Gb4000 from you, would they get a set of instructions and maybe a manual? GERALD SMITH: Yes, it comes with a manual, but it’s actually a no-brainer. You basically push like auto channel and then you punch in the numbers for the program and then you push run. It’s pretty much that simple. JUSTIN: Wow, would someone use the Gb4000 for an acute illness, or would they use it on a daily basis? GERALD SMITH: Well, theres 871 programs in there, so it covers arthritis, migraines, fatigue, hormonal imbalances, dental infection, detox and a whole list of medical maladies. It’s very effective. JUSTIN: Interesting. One more question on this, as I’m just fascinated by this machine. If someone were to buy it and were to treat themselves with it, and say they wanted to do it on a daily basis. GERALD SMITH: It would be too much to do it on a daily basis, because when you kill the pathogen, the body has to be able to detox the poisons that are spewed out throughout the system, so the advice is never to do it on a daily basis. JUSTIN: Yes, that makes sense. If they were to treat themselves, however frequently they were, would they sit down maybe in a chair and put their feet on something or their hands in something, how does that work? GERALD SMITH: Well, if you want to treat the whole body, the unit comes with pads and hand cylinders and literally it will really treat the whole body simultaneously. JUSTIN: That is so cool. So, for how long, I guess it depends. GERALD SMITH: Each program has different numbers of frequencies. For example, one program may only last for five minutes, where another program maybe a half hour. JUSTIN: I see. So, you could sit and watch TV or something? GERALD SMITH: That’s what I do. I have mine on my couch upstairs and I’ll watch TV or read a book, or whatever. To me, it’s an inexpensive price to pay for health. JUSTIN: I agree, especially like you were saying with some of the supplements they’re taking away now, and God onlyh knows what direction that’s going to be headed in. I think it’s important for people to take some proactive steps towards their health, and I think that’s a great thing to do. I wanted to ask you, I know we have a limited amount of time, but what do you make of all this gum disease and receding gums and issues with people’s gums these days. GERALD SMITH: Well, it’s a combination of things. The American Dental Association admits that mercury fillings are a source of periodontal disease, because the mercury leaks out 24/7 and it causes a breakdown in the tissue. Nutritionally, there’s a lot of problems, and not getting the right nutrients the body becomes acidic and it starts to draw minerals out of the bone, and the bone around the teeth is cancelous or spongey and that’s going to be one of the first areas where you get demineralization. JUSTIN: Interesting, so when people get receding gums, the first thing they need to look at is, most likely, their diet. GERALD SMITH: Absolutely, I personally think raw is where it’s at and civilization is the longest running expirament and nowhere in the history of civilization has there been a tribe that was strictly vegetarian. That’s not to say that you shouldn’t eat that way, but I’m just giving you facts. I honestly believe that individuals do need a certain amount of animal protein to maintain the integrity of their immune systems, and bones and so forth. JUSTIN: I read recently that there is a correlation between the amount of phosphorus that people eat and their cavities. I believe that if their phosphorus went above, I forget what the level was, then it would almost immediately trigger cavities. Have you heard that? GERALD SMITH: Yes, if you get too acidic then you enhance the growth of pathogenic bacteria, but Justin, a real sleeper is hypothyroidism, and back in the 1920’s Eugene Herzog who was an M.D researcher from Belgium, connected tooth decay with underactive thyroid. GERALD SMITH: Sure, just think about it. You have chlorine in the water, fluoride in toothpaste and water, bromine to bleach the flour roducts. You have hydrogenated fats, heavy metals in the atmosphere when the burn coal for power plants, and the bottom line that all of these items that I mention, suppress thyroid activity. JUSTIN: It’s so crazy. I wanted to ask you about the thyroid and the liver. Most people think your most important organs are maybe your heart and your brain. I’ve heard a lot of health people talk about your liver being the most important organ, but the thyroid is the master controller of your entire endocrine system. Is that correct? Your hormones and all of that? GERALD SMITH: Well, the pituitary gland kind of monitors the biofeedback of the hormonens going through the body, but I have to say that the thyroid is probably next in line to the pituitary and it governs the metabolism of all the cells in our body. It also governs the function of the heart and your mind. I had a woman who was hearing voices in her head and it turned out to be mercury in her thyroid, because she worked at a facility that was like a mile away from a power plant. In ten days of detoxing the mercury out of her thryoid, the voices stopped in her head. The thyroid deals with depression, anxiety, panic attacks, digestion problems, hair problems, insomnia, fertility, tooth decay, and skin acne is related to an underactive thyroid. Allergies are related to an underactive thyroid. So you can see how key the thyroid is in body metabolism. JUSTIN: Not to mention weight gain and those types of obvious issues. GERALD SMITH: Right, and balance of the other hormones. So, it’s extremely important. JUSTIN: Wow, so alright, the thyroid, I know a lot of people talk about iodine and things like that. So, what types of things are good for maintaining good thyroid health? GERALD SMITH: Well, it is a very nutritional organ and certain things like manganese is important. Selenium is important, even testosterone levels amongst women. It’s important to convert the T4 to T3, B-vitamins and selenium are extremely important. So, what I’m finding is very frightening. The vaccines, in a high percent of cases, are being trapped in the thyroid, and I’ve noticed specifically tetanus is being trapped in the left lobe of the thyroid. So, you have childhood vaccines, you have heavy metals coming from the mouth and the environment. You have pesticides, you have other chemicals, dioxin and so forth, and fluoride from toothpaste and water. They get trapped in the thyroid, causing an underactive gland. The thing is you can throw iodine at it, you can throw thyroid hormones at it, but what I’ve discovered is that you have to cleanse these toxic substances out of the organ in order for it to function at it’s maximum potential. JUSTIN: Right, because it makes no sense to you know throw nutrients at it when it can’t even operate correctly, right? GERALD SMITH: Exactly, so the key in the diagnosis is to deliniate or define what’s in the thyroid that’s causing your problem. JUSTIN: Okay, would the Gb4000 help with your thyroid? I’m sure there’s frequencies for that. GERALD SMITH: Definitely, pathogens, viruses or whatever, you can definitely do that with frequencies. JUSTIN: So, what kind of iodine would you recommend? GERALD SMITH: I recommend Magnascent Iodine. It’s biologically much more active and you can take it orally. You can put it into like an ounce of water. JUSTIN: Do you sell that, or is there a place online where people can get that? GERALD SMITH: Yes, we sell it from our icnr. The key is, you need this to counteract the radiation that’s coming over from Fukushima, the radioactive iodine 131. JUSTIN: It’s almost like a daily tonic that people need, right? GERALD SMITH: Just think about it, Japan has the lowest cancer rate of any country in the world. They also have the highest consumption of iodine. You’re talking about 14 mg per day. In the United States, the RVA for iodine is just enough to prevent goiter. If you want to read an interesting book, it’s called Breast Cancer and Iodine by David Derry and he showed that the iodine turns on apoptosis, which is the self-destructive mechanism of cancer cells. When you don’t have enough iodine in your system, the cancer cells just run rampant. JUSTIN: That’s fascinating. That’s one question I wanted to ask you before we leave. What other books would you recommend? I know you’ve got three books, I think more, and we have links to those. What other books, that you haven’t written, would you recommend people read in terms of the types of things that you’re into? GERALD SMITH: Well, a good friend of mine, Mark Starr, wrote a fantastic book called ‘Hypothyroidism Type 2’ and he did the research and connected the dots, and it links all of these different symptoms that were discovered back in the 20’s, 30’s and 40’s, and it will blow you away, once you see the connection. JUSTIN: That’s so fascinating. I have so many questions, I could talk with you for hours. Before we go, I wanted to ask you this. I stopped using toothpaste years ago, but I brush my teeth now with a combination of baking soda, sea salt and a little drop of 3% hydrogen peroxide and water. Is that a good solution? sodium lauryl sulphate, antifreeze, fluoride or antibiotics. You can read the ingredients, and we have our own designated website called aquaessencetoothpaste.com and the feedback has been phenomenal. It’s 100% natural and it really does what it says it does. It helps bleeding gums and your mouth feels fresh. From another standpoint, if you have a waterpick device, you can just add some of the magnascent iodine, like 10 drops before you go to bed in the water reservoir and flush your mouth out with it. The next morning, your mouth is going to feel squeaky clean. JUSTIN: It’s so interesting. When I first started learning the connection between your teeth and your health, for so many years I didn’t take care of my teeth, and it was just because it was a hassle and all that kind of stuff. But when I started realizing the connection, now I treat my teeth like gold. I don’t want anything to happen to them, so I brush with the baking soda and all of that. I think that people need to start understanding the connection between their teeth and their health, with things like cancer and all this other kinds of stuff. GERALD SMITH: Basically, I say if the teeth were all on the top of the head and hair was in your mouth, most people would be bald. JUSTIN: That’s a good way to look at it. You mentioned earlier, I know we have to take off here in a couple of minutes, but you mentioned earlier about the fluoride in the water, and we could spend an hour just on that. I just want to give people some simple solutions. What kind of water filter would you recommend? Do you sell any and if not, which ones do you recommend? GERALD SMITH: I don’t sell any filters, but I have a whole house water filtration system. It’s the M750 and they basically have a separate tank that is specifically devoted to pulling fluoride out of the water. So, my whole house is fluoride free. The other type pulls out dioxins and pesticides and drugs and things. It’s really frightening, the average public water supply has about 66 drugs in the homeopathic form. They’re on the internet and we have a link. If you go on icnr.com and the site index. I don’t get any commissions from it, so I don’t care. The key is, if you scroll down to water purification systems at the end of the index, you will see. It’s reasonable, as for a family of let’s say 3 people, the time should last anywhere from 5-7 years. JUSTIN: 5-7 years for about 3 people. That’s pretty cost effective. JUSTIN: You know, it’s these types of things that we need to start doing, that will improve our health dramatically, but people don’t take any extra effort. It doesn’t take my any extra effort to brush with baking soda, salt and hydrogen peroxide, or use Dr. Smith’s toothpaste. It takes no extra effort, but just by doing these little things every day makes a huge difference in our health. GERALD SMITH: Yes, life is very simple when you come down to the basics, and that’s what I stress when I lecture and when I treat. The closer you get to the truth, the more simplistic the solution is. JUSTIN: Yes, that makes sense. We’re going to wrap up there, but one last question for you. I wanted to ask you what kinds of things are you working on? Are you working on any new books and what direction are you headed on with your work? GERALD SMITH: It’s interesting you should mention that. One of the things that we’re doing is working with homeopathics. We’re finding that that could be extremely powerful, even with cancer. I believe that using homeopathic forms of certain minerals can prevent the uptake of glucose into the cancer cells, and actually starve them to death. So, that’s the direction we’re working on now. JUSTIN: Wow, and that’s based off all the research you have done with the book you wrote on cancer and everything like that? JUSTIN: Fascinating. Doctor, would you mind staying after I close out the show? JUSTIN: Okay, thank you. 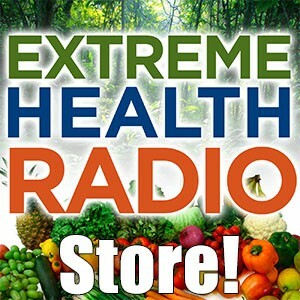 Thank you so much everybody for joining us today on extremehealthradio.com. You can find the show notes with all of these links and website and all the information that the doctor mentioned on extremehealthradio.com/17. Thank you again so much for joining us, and if you found value in this episode, would you do me a huge favor, as I would really, really appreciate it. 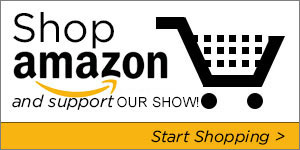 Could you click ‘like’ on this show page and follow us on facebook and twitter and those types of social media outlets? If you found value, also please send this show to your friends and family members who may be dealing with chronic tooth issues, because there is hope out there and I think it’s important that people understand that. If you would do that for me, I would be greatly appreciative. Also, we are 100% listener supported, so your donations are graciously appreciated and accepted, and we would be honored if you would donate any amount you would like. If you can do that, but if not, that’s okay too. We have a full store, so check out our store, as we have all kinds of great and amazing products for you in our store, so make sure to check that out. Again, thank you for joining us and hopefully you found a lot of value in this show. We will see you on the next episode.